5. Wicked, la comédie musicale, à Londres ! 7. 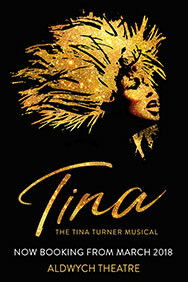 Tina Turner - la comédie musicale à Londres ! Written by Tony Kushner, author of legendary play Angels in America, and with an exceptional, soaring score from Tony Award-winning Jeanine Tesori, Caroline, Or Change stars Sharon D. Clarke in an astonishing “virtuoso performance. To watch her seems a privilege” (The Times). Winner of the Olivier Award for Best New Musical, Caroline, Or Change is a playful, funny, and deeply moving tale set to a score that hits new heights of emotion, in a production that always delights with imagination. 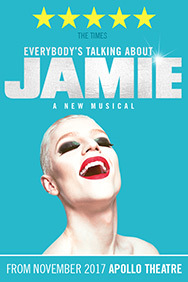 Directed by Michael Longhurst (Amadeus, Constellations), this vital and timely musical opens at the Playhouse Theatre from 20 November 2018 for a strictly limited season.